I have other sheep, which are not of this fold; those too I must bring in, . . . and they will become one flock, one shepherd.—John 10:16. Do those of the other sheep need to know the names of all those who are anointed today? The short answer is no. Why not? Because even if someone has received the heavenly calling, that person has received only an invitation, not a final confirmation of the reward. That is why Satan raises up “false prophets . . . to mislead, if possible, even the chosen ones.” No one can know whether an anointed Christian will receive his heavenly reward until Jehovah judges that person to be worthy of such a prize. Jehovah makes this determination and gives him the final sealing either sometime before he dies faithful or sometime before the outbreak of “the great tribulation.” It would be pointless, then, for anyone now living on earth to try to ascertain who among God’s servants will eventually be part of the 144,000. The teaching that there are two separate destinies for God’s sheep, a heavenly and an earthly destiny —dependent upon God’s choosing —is unique to Jehovah’s Witnesses. Certainly, it is one of the most misunderstood and controversial doctrines as well. It is amazing that more so-called Bible students cannot grasp what is a basic, fundamental, scriptural teaching; namely, that God intends to restore paradise to this earth and to that end it is his will that righteous people will survive the violent end of this present civilization and form the nucleus of a new world. In the 10th chapter of John Jesus spoke of himself as the shepherd, and also of “other sheep” whom he will bring into the flock. Self-styled Bible teachers, including some from among Jehovah’s Witnesses, suppose that the “other sheep” of whom Jesus spoke were the non-Jewish Christians who began to be brought into the flock when Peter baptized Cornelius and his family. However, a careful consideration of the facts proves otherwise. Now, reasoning on the matter, what sort of protective enclosure were people of the nations in prior to their becoming Christians? The reason that question is pertinent is because Jesus stated that the other sheep comprised a separate fold prior to their being brought in to form one flock. As stated already, the natural Jews were somewhat protected by the law and were in a state of readiness when the shepherding Messiah arrived. And the faithful ones responded to his voice. In contrast, Paul, the apostle to the nations, said that people of the nations were alienated from the state of Israel and were without God in the world. The point is, those gentile believers were not gathered into any sort of fold before they were taken into the one flock. On the other hand, neither is it reasonable to suppose that the millions of persons who presently identify themselves as Jesus’ other sheep were at any time prior to their becoming Jehovah’s Witnesses in any sort of sheep fold either. The point is, all of God’s sheep are in a flock prior to Christ’s coming, or at least they were at one point. However, the sheep are abused and scattered because of the incompetence of the shepherds to whom they were entrusted. And eventually all are scattered. Amazingly, the Watchtower claims that God entrusted his sheep to the political rulers and worldly tyrants and actually expects them to minister to them. Franz even concocted the phrase “governmental shepherds” to describe them. His justification for doing so was that the negligent shepherds of Israel were the kings and princes, hence “governmental shepherds,” if you please. However, it seems to have alluded the brilliant Bible scholar that all the kings of both Israel and Judah were bound by the covenant that Moses mediated and were required by law to read the law daily so as to successfully shepherd God’s nation. 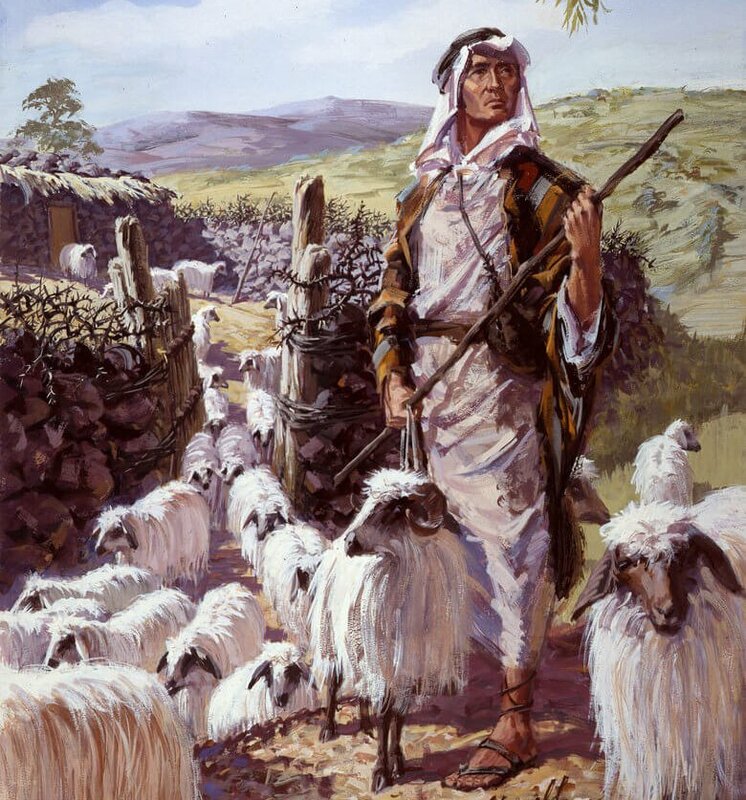 But even though the would-be interpreters acknowledge that the sheep are not even genuine sheep, only claiming to be such by virtue of their being nominal churchgoers, it is mystifying why God would expect the wicked tyrants of this world to search for lost sheep who only pretend to be his sheep anyway. And what would happen if they actually found one of these lost fake sheep? Could they possibly be expected to bind their wounds or care for them? Let Jehovah’s Witnesses try to make sense of it. Yes, all of those who are put in charge of caring for God’s sheep will be held accountable, but especially the slaves charged with providing the sheep their food at the proper time. Look at the situation today. Can it not be said that the leadership of Jehovah’s Witnesses fit the description of the negligent shepherds? How so? Do they not feed themselves with the best? Like the kings of Israel, they have even erected a grand palatial headquarters for themselves from the sweat of thousands of Jehovah’s Witnesses. Their sumptuous appetite for worldly accruements testifies against them; luxury cars, paid healthcare, first-class travel around the world. They enjoying privileges and comforts that many ordinary witnesses cannot afford. Whereas, Paul labored day and night, sometimes in hunger and nakedness, suffering persecution from false brothers, working with his own hands so as not to impose an expensive burden on the brothers, the leadership of Jehovah’s Witnesses are treated like kings —nay, gods! But any who do not agree with them they slaughter —judicially executing any and all who run afoul of them. They have spent millions of dollars surpassing the plaintive cry of abused children. All the while persecuting those who are sickened over the Watchtower’s rampant hypocrisy.